Nashville’s Free Throw has been kicking around for a couple years, yet it has remained isolated from its peers–many of the young bands referencing late-’90s emo–due to its location. 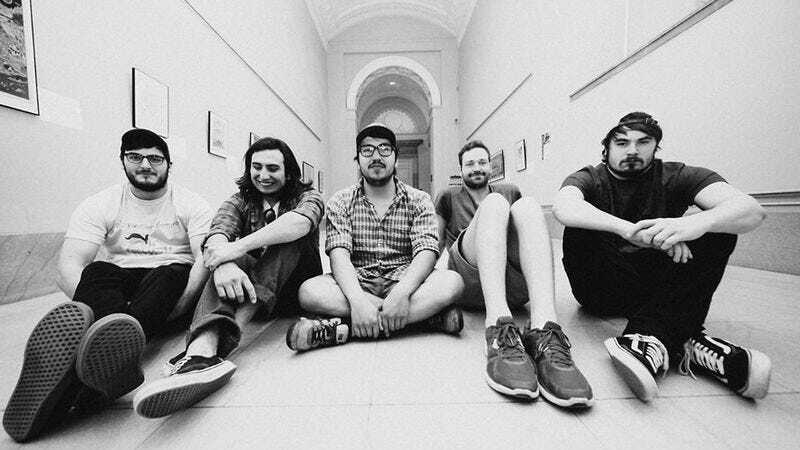 Since the release of of Lavender Town on Count Your Lucky Stars in 2013, the band has found itself sharing a label with many of the scene’s most notable up-and-comers, and its debut LP, Those Days Are Gone, sees the five-piece take another step toward being a frontrunner. Across its 11 songs, Those Days Are Gone shows the band fluctuating across states of energetic angst (“What Day Is It, October?”) and quiet reflection (“Kim Tastie”), culminating in an album that puts the group in a movement but never puts it in danger of feeling too of-the-moment. The A.V. Club is streaming all of Those Days Are Gone below, and pre-orders for the album, which will be released on September 16, can be found via Count Your Lucky Stars.